Incorporated in 2004, RKTS is a renowned entity that has been catering to retail and massive requirements of the clients across the globe. Over the years, we have created our own space amid the leading cotton yarn dyed fabrics suppliers in India. 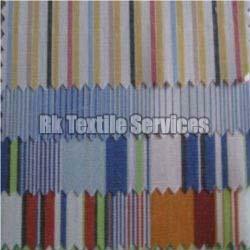 Our base is located in Surat (Gujarat, India) and we can be relied for processing urgent and bulk cotton yarn dyed fabrics needs. Only quality packaging material has been used for the packing of the products that we offer. Moreover, the entire packaging procedure is conducted under the supervision of the experts. Purchasers can rest secure; our entire range is premium, as they are wholesaled by us after subjecting them to a string of quality control tests.